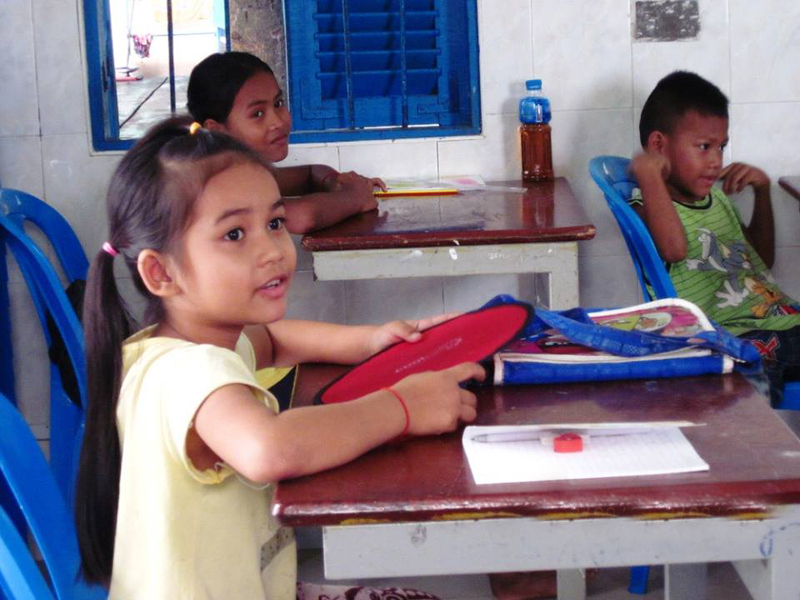 Early in September 2014, NFC opened a unique program called the Community Education Program (CEP). It was formed in order to help disadvantaged students from the local community have the opportunity to receive significant, additional education above the level of that provided at public schools for free. Since the pilot program began, it has already helped 42 underprivileged students (18 girls, 24 boys) who joined the computer and English education courses provided to the live-in NFC children. Also, an additional 11 community students (5 girls, 6 boys) have finished the computer course (Microsoft Office) and 31 students are continuing to study computer and English courses at the center. 9 of the 31 students are taking English lessons for two hours a day, 5-days a week. The enrollment in English courses are as follows; 5 students in the English for the young learners, 1 student in the English for beginners and 3 students in the English for medium age level children. Altogether, 9 students attend English courses (3 of whom attended computer courses), 22 students attend only the computer courses and so overall, there are 25 students that attend the computer courses.